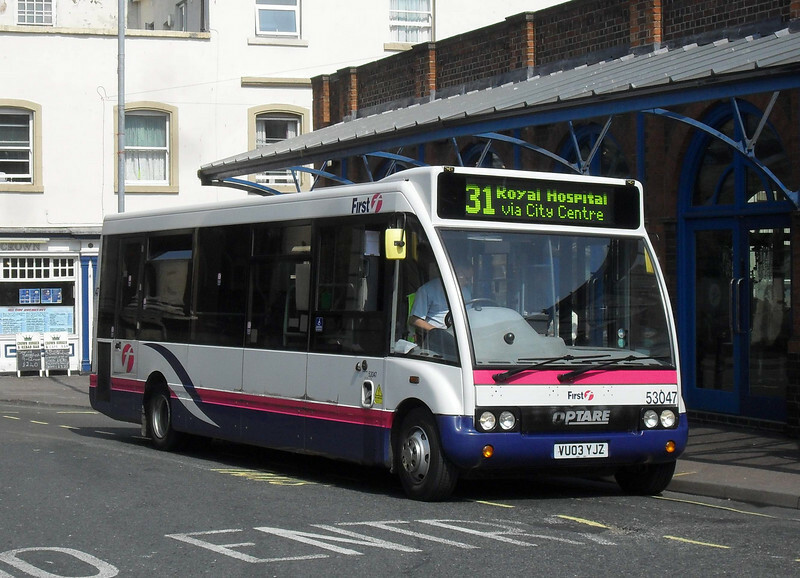 Worcester depot operates 8 Optare Solos on city services - namely routes 31, 32 and 37. I managed to capture all of the Worcester based Solos on camera and they are shown below. All of Worcester's Solos were new in 2003 with Orange branding for routes 41 and 43 - both routes have been withdrawn since then and replaced by other routes. Hereford also operate a number of Solos on their Wyse Moves routes - some have since moved to Worcester and I've managed to grab these ones.